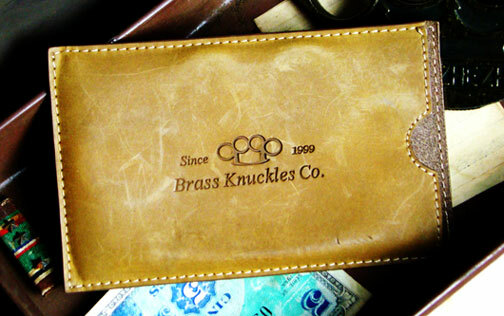 A Brass Knuckles Co.™ Exclusive! We are proud to introduce our exclusive Non-Metallic Stealth Knuckles™. Made of super hard plastic resin material that is nearly indestructible and 100% non-metallic. That means they are extremely lightweight and perfect for self-protection in high security areas. These can pass unnoticed through any metal detector. WARNING: Don't Be Fooled By "Plastic" Knuckles. Our exclusive Stealth Knuckles are constructed out of a high-density plastic resin material that is similar to the impact resistant plastic used in motorcycle helmets and shatter proof Plexiglas®. We manufacture these knuckles ourselves and they are not made available to any other dealer. Other plastic knuckles sold on the internet are made of cheap, toy quality plastic that will bend, crack and shatter easily . Totally Shatter Proof! These knuckles aren't just for show. They can hold up to harsh abuse. 100% Non-Metallic. Can not be detected by hand-held or walk-through metal detectors of any kind. Full Size! 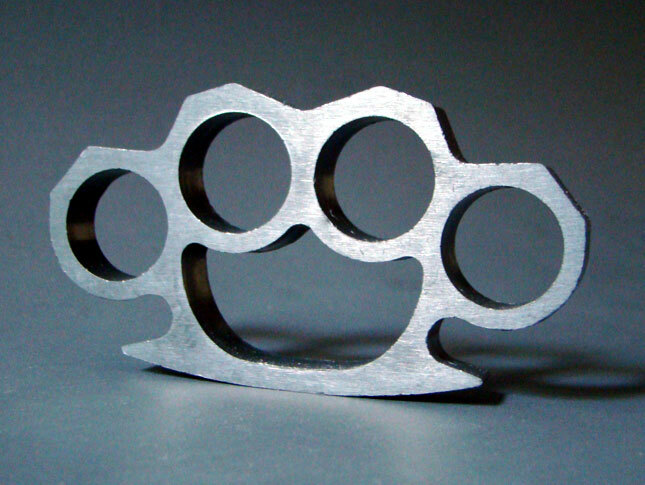 These are the exact same dimensions as our Original Brass Knuckles™. They are not the smaller or lower quality plastic knuckles you might find elsewhere. Dimensions: 4.5 in across, .5 in thick, 2.5 in high, finger holes 1 inch diameter (Approx ring size US16). Fits medium to large size hands. people dont know how to punch with brass knuckles. you line them up wirh front knuckles not the 2nd set and you roll down. these are def the best pkastic knuckles ive seen. it will cut someones face too. Great high quality product and super fast delivery! Great item to have when you need a little extra security and no need to worry about metal detectors with these stealthy bad boys. I bought these brass knuckles on Christmas. When I received them I didn't think they were good. Little did you know they are great not detectable at all. These will come in handy in top security areas. They are super light made from hard material. Thanks to the Brass Knuckles Company best believe I will be buying more from you guys. I took these babies into court and destroyed my target in the toilet, DONT STEAL FROM MY GRANDMA. They are stealthy and really do damage, don't let there look and feel fool you, I really love how light they are, you can really throw pick and medium strength punches that destroy FACES. I've rated these four stars not because of construction but because I'd like to see the edges rounded off a little but with that aside, I absolutely love them and am a proud owner of them. I hope this company stays a float for many years as I will be returning several times in the future! Again, would really love to see the edges rounded off for some additional comfort as well as the space above the pommel to be made just a hair bigger to accommodate for different styles of use. Thanks BKC! You've earned a returning customer!